I am absolutely delighted to announce my Britmums Live 2013 sponsor Silentnight. Britmums Live is a two day blogging event, and the largest of its kind. 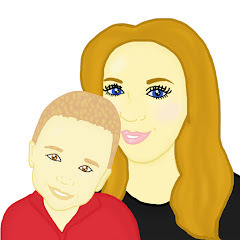 It is hosted by Britmums which is the UK's largest blogging community, made up of 4,200+ members and 8,000+ blogs. The event gives bloggers the best opportunity to build relationships with other bloggers and brands but most importantly gain blogging skills to increase the views on the blog. This two day conference takes place in London on Friday 21st June and Saturday 22nd June. I am really excited about being able to go to such a huge event. I can't wait to meet all the bloggers that I have spoken to online, pick up useful tips to improve my blog, as well as connecting with many amazing brands. I am sure many of you have heard of the company Silentnight. 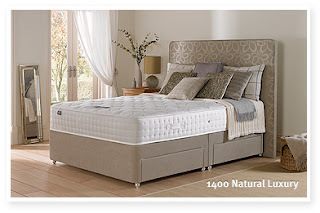 At Silentnight, they know the secret to a great night's sleep. With over 60 years experience as the UK's favourite bed and mattress manufacturer they have made it their mission to help everyone find their perfect sleep solution. Sleeping soundly is the bedrock of any person's sense of health and well-being, to help maximise performance in and out of work and enjoy a full and energised life. Silentnight have just launched an amazing competition. March 2013 is National Bed Month in the UK – a time when UK health authorities work to raise awareness about the importance of getting a good night’s sleep, and how the right bed can help to accomplish this. Silentnight are marking the occasion with one of our biggest ever giveaways – the Spring Bedroom Makeover Challenge! An exclusive standard double, platform top, non-storage 1400 Natural Luxury bed with a headboard (RRP £1,000) from their Diamond Collection. £1,000 worth of consultation from Allyson Houghton of Ideas Interiors, a professional interior design consultant to help you to revitalise your bedroom! A selection of runners up will also be chosen to receive a Memory 3 zone-rolled mattress, listed as a ‘best buy’ by Which? Magazine. The Spring Bedroom Makeover Challenge will engage with family, lifestyle and design bloggers, who can enter by submitting an article on the subject of how they'd like to give their bedroom a 'spring makeover'. Entrants are encouraged to be witty and creative, talking about the things they love about their bedroom as well as the things they'd like to change. Articles must be posted on the entrant's personal blog and submitted to Silentnight via Facebook or Twitter. You are able to find all the details on Silentnights Website.